Emiliano Sala complained about a plane that looked like it was "about to fall apart" in a chilling final message before his disappearance. The Cardiff City striker, signed for a club record £15million (N7billion) fee from Nantes, is feared dead after his plane went missing whilst travelling to the Welsh capital. Guernsey Police have confirmed they have called off the search for the night and said the chances of survival for Sala or the pilot are "unfortunately slim". Argentinian media outlet Ole have now released haunting verified audio sent from Sala to close friends on WhatsApp in the final moments before the plane vanished over the English Channel. Hello, little brothers, how are you crazy people? Brother, I’m dead, I was here in Nantes doing things, things, things, things and things, and it never stops, it never stops, it never stops. Let’s see what happens, so, how are you brothers and sisters, all right? If in an hour and a half you have no news from me, I don’t know if they are going to send someone to look for me because they cannot find me, but you know … Dad, how scared am I! 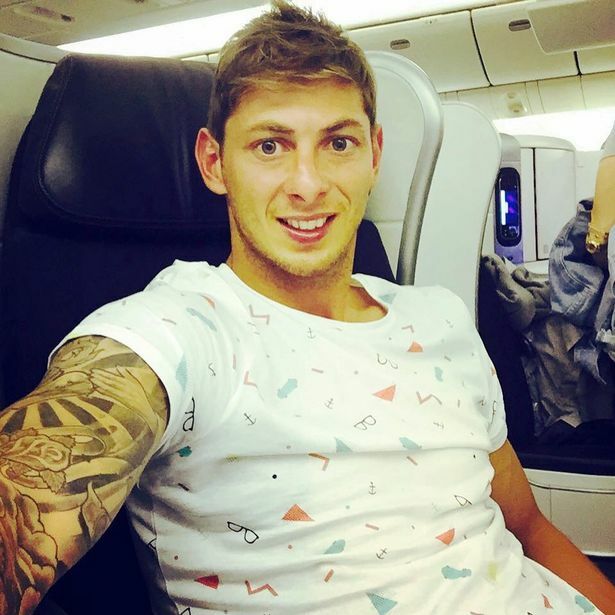 Reports suggest Sala had expressed concern about the flight having travelled from Cardiff back to France in the same plane over the weekend. He texted friends once on board to say the plane was making "weird noises" before the plane was reported as missing at around 8:30pm on Monday night. The light aircraft had been flying at 5000ft but requested to land while passing Guernsey, with the a single-engine plane last detected at 2300 feet when they lost contact with Jersey air traffic controllers. Cardiff City cancelled training on Tuesday, which was due to be Sala's first day with his new team-mates, in the wake of the tragic incident.